This module features high sensitivity, low power cost, max transmit frequency reaches 5mW which meets the 2.4GHz regulation all over the world. 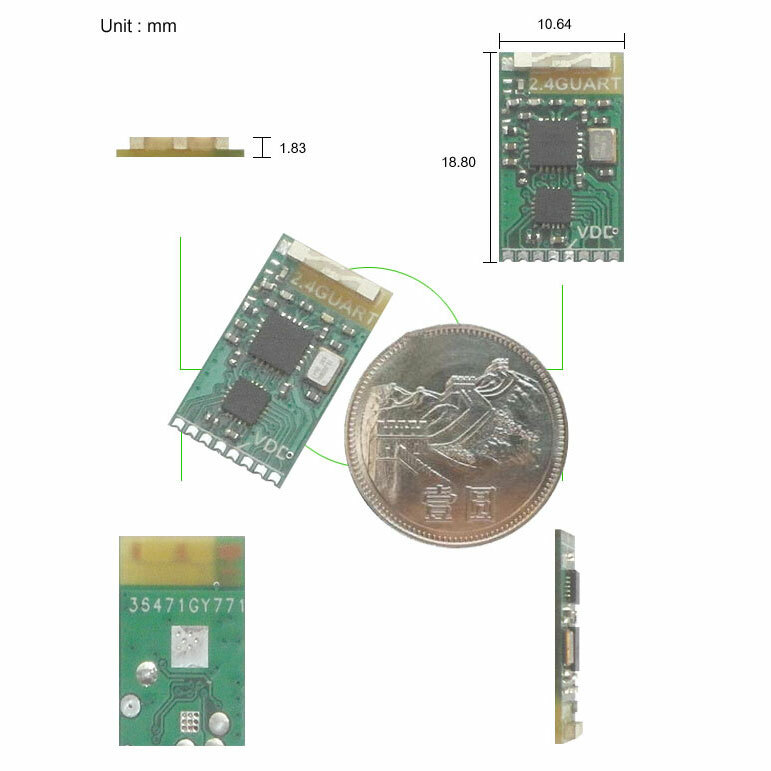 Built-in MCU process WiFi communication protocol, can be easily operated through UART TX/RX. When in deep sleep mode, the module power cost is lower than 9uA, suit for products with batteries. It can be awaken through UART communication. Features 4 GPIO, can be customized for customer’s requirement. Especially suit for low power cost, short range application, such as: smart house, burglar alarm, remote control toy, remote control and light control……etc.